First published in 1979, this book looks at the subject of childminding in Britain at the time it was written. It is based on a national survey that was commissioned by the Social Science Research Council and on action to help childminders funded by the Wates Foundation at Manchester University, UK. Previous to this study it was calculated that more than one million children under the age of five had a working mother, but little research had been done into childminders themselves. 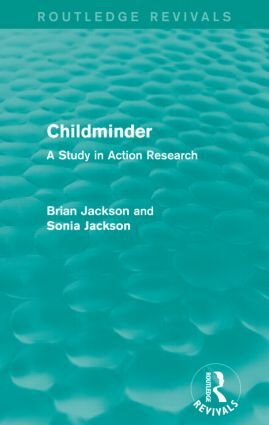 This book evaluates the number and nature of the childminders in Britain that were looking after the nation’s children in the 70s. It argues that parents have a right to choose to work if society can guarantee loving and skilled care for their children. However, the authors suggest that this was not the case at the time and state that childminders were in need of better governmental support.